At age 65, seemingly healthy women have about a one in six chance of developing Alzheimer's during the rest of their lives, compared with a one in 11 chance for men. Scientists once thought the disparity was just because women tend to live longer - but there's increasing agreement that something else makes women more vulnerable. 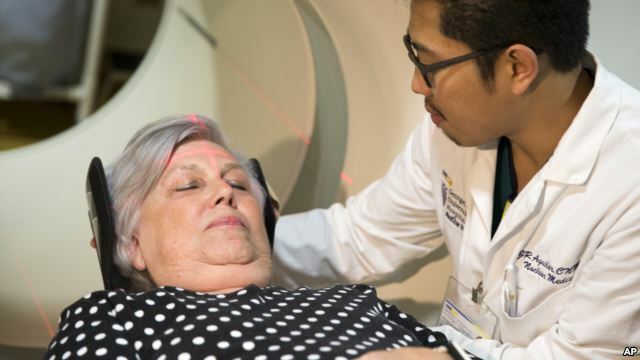 Nor could it explain why the women declined faster, but the researchers said larger Alzheimer's prevention studies should start analyzing gender differences for more clues. And two other studies presented Tuesday offered additional hints of differences in women's brains. A sample of 1,000 participants in the large Alzheimer's Disease Neuroimaging Initiative compared PET scans to see how much of a sticky protein called beta-amyloid was building up in the brains of a variety of men and women, some healthy, some at risk and others with full-blown Alzheimer's. Amyloid plaques are a hallmark of Alzheimer's, and growing levels can help indicate who's at risk before symptoms ever appear. "Overall, women have more amyloid than men,'' even among the cognitively normal group, said Dr. Michael Weiner of the University of California, San Francisco. The study couldn't explain why, although it didn't appear due to the risky ApoE-4 gene, which seemed to make a difference for men with Alzheimer's but not women. Some seniors who undergo surgery while knocked out by general anesthesia suffer lasting cognitive problems afterward, often expressed to doctors as, "Grandma was never the same after that operation.'' Tuesday, researchers reported that here again, women are at higher risk of getting worse. "It is worth letting our older patients know that they should perhaps talk about this with their practitioner, that this is a possibility and consider whether or not they need to undergo procedures that are considered to be elective,'' she said. "It's not just that women are living to be older. There's something else going on in terms of the biology, the environment, for women compared to men that may make them at greater risk, or if they have some symptoms, change the progression,'' Yaffe said.